Plans for a 19-turbine wind farm in South Lanarkshire have been given the green light but contractors and plant hirers hoping to win work from a Caithness development will be disappointed after energy minister Fergus Ewing refused consent. Approving PNE WIND UK’s proposal for Kennoxhead in South Lanarkshire, Ewing said: “We have been clear that wind farms can only be built in the right places and that proposed developments are subject to strict planning laws. Our policy strikes a careful balance between utilising Scotland’s significant renewable energy resources whilst protecting our finest scenic landscapes and natural heritage. 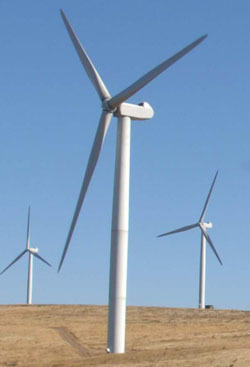 PNE had originally wanted 26 turbines but later lodged an application for 19 and an increase in turbine tip height from 126.5 metres to 145 metres. The Limekiln scheme in Caithness by Infinergy Ltd was planned for a site close to Dounreay Power Station. It went to a public inquiry after Highland Council objected, against its officers’ recommendation.